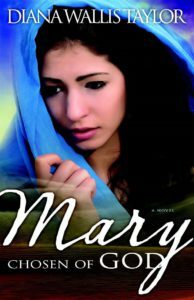 “Blessed are you, Mary, chosen of God.” Mary is ordinary girl from Nazareth. She helps her mother with household chores, she daydreams about a handsome carpenter’s son named Joseph, and at night she lies on the roof and contemplates the stars. But one evening, a heavenly visitor comes with unexpected news—and her life is changed forever. 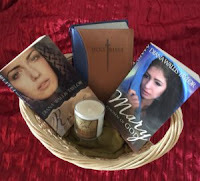 Experience the life of the Messiah from the perspective of his mother, who must place her trust and obedience in Adonai, the Most High, as he fulfills centuries of prophecy in the middle of her daily life. Walk with Mary as she witnesses Yeshua grow, mature, minister, and even be crucified—and then raised again, to the kindling of her new faith. I LOVE Bibilcal fiction. This one sounds awesome! :-) Do you read Tessa Afshar's books too?